Better Coffee? I don’t Bolivia! Let’s talk coffee. We all need it, we all drink it, and we generally don’t think about where it came from. We started thinking about coffee, and it’s impact on the environment and those who harvest it, and came to the conclusion that Organic and Fairtrade is the way to go. This move to organic and fairtrade coffee is a way for us to continue to improve our commitment to sustainable practises. 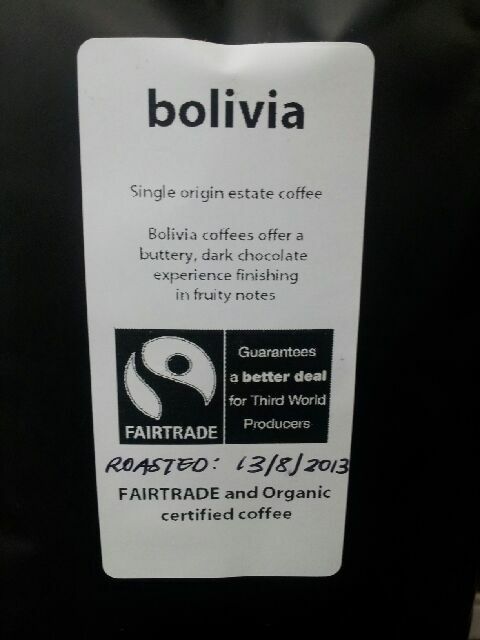 Our new coffee beans are grown organically in Bolivia. No pesticides, no herbicides, and certainly not aided by chemical substances in any way. This is better for the longevity of the soil, the workers, and at the end of the line, us! The traders are paid fairly and properly for their beans, and are not exploited by large coffee companies that then on-sell at a premium. Better for the Earth and better for the farmers. And at the end of the day, better for all of us. Did we mention that it is delicious? Our new beans arrived yesterday, and we have had loads of comments on how nice the coffee is. And yes, it is still complimentary for all of our guests.